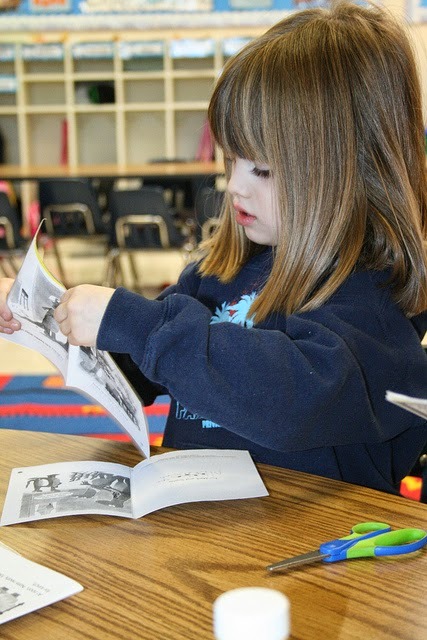 How do you know your child is ready for preschool? The answer really depends upon your child. In my case, I noticed that my children were becoming more independent and enjoyed spending time at grandmas without having me close at hand. They talked about school and were curious about colors, shapes and learning their ABCs. And (here's the biggie) they were confident about going to the potty. Is your child potty-trained? While not all preschool programs require that children be potty-trained, at Fairmont we believe that giving up diapers is one clue that your tot is ready for the big kid world of preschool. Can your child separate from you without melting down? Every child has moments when leaving mom, dad or another caregiver can be particularly tough. If your child is ready for preschool, you'll notice a burgeoning independence as your little one looks forward to striking out on his or her own. Can your child properly feed him/herself with utensils and remain seated in a chair while eating? Preschool-aged children are notoriously "wiggly" in their seats, and that's okay. But he or she should be able to feed him/herself without needing adult help. Can your child play with other children or independently without requiring constant adult intervention? Playing well independently and with others is a skill that builds as preschoolers mature; however, they'll need to start moving in this direction before it's appropriate to enroll them in preschool. Can your child follow other adult’s directions? If you're the only one who can get your child's attention, he or she may not be ready for preschool. Make sure your child has the opportunity to experience other caregivers--family members, friends, etc.--before starting preschool. Sometimes it's a familiar smell or taste that brings back a treasured memory. Sometimes it's a photograph, note or drawing. Yesterday it was a book. I came across a stack of books I remember from my childhood. 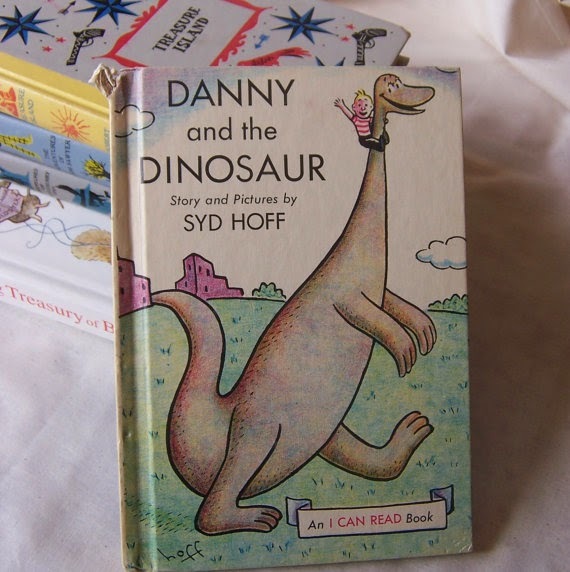 Books like Danny and the Dinosaur by Syd Hoff and Little Bear by Else Minarik, with illustrations from the late, great Maurice Sendak. The memories came rushing back! The ability to read, to read well, and, ultimately, to read for pleasure is one of the greatest gifts we can give our children. It will help them succeed in school and in any chosen profession. And it will open worlds of thought and feeling to them as they mature into grown-up human beings. What I loved about my "I Can Read" book find is that these little gems of literacy are accessible to children just learning to read. The stories go well beyond those boring basal readers we all remember from kindergarten and the vintage illustrations are delightful. Maybe you have some old childhood books stashed away in your closet, garage or attic. If not, hit up your local thrift store or log-on to Etsy and search for vintage children's books. Sharing your favorite books from childhood reminds your children that you were little once. You had to memorize your sight words and "sound-out" just like them. You struggled along sometimes, but, over time, you got better and better. It's gratifying to reminisce and it helps us connect with our kids...who are growing up faster than spring weeds! Hopefully this post inspires you to make time to share your childhood learning-to-read memories with your own children. Mention the word "salad" and most of us imagine a bowl of leafy greens. But salads go way beyond green, venturing into a carnival of colors, textures and flavors. Think fruit salad, veggie-salad, pasta salad, tuna macaroni salad, and three-bean salad just to name a few. Getting children to eat salad requires a bit of strategic planning and preparation. Salads for kids need some basic elements to entice children to eat them. When planning a salad think about color, flavor, fun, familiar foods and bite-size pieces. For example, children are attracted to bright colors, especially red. Try tomatoes, watermelon, red peppers, grapes, strawberries and carrots. Familiar flavors will also enhance success. Kids prefer plain foods so too many ingredients might be a turn off, especially if none of the ingredients are recognizable. Keep it simple by limiting the number of ingredients to a familiar few and slowly increase from there. Creative, enticing shapes are a draw as well as easy-to-eat, bite-size pieces. Alphabet, elbow macaroni and wagon wheel pastas create visual interest and help make a fun salad. Combine with edamame or diced cheddar cheese to add color, nutrition and flavor. Color plus creative shapes equals fun! Use a melon baller or cookie cutters to create interesting shapes in bite-size pieces. Remember that children enjoy preparing meals as well as eating them. Have them participate in selecting the ingredients from the grocery store, farmers market or garden. Encouraging children to mix in their favorite colors and shapes will increase the likelihood of a successful salad experience! What is your family doing for spring break? If you don't have plans to travel, consider a staycation right here in the OC. 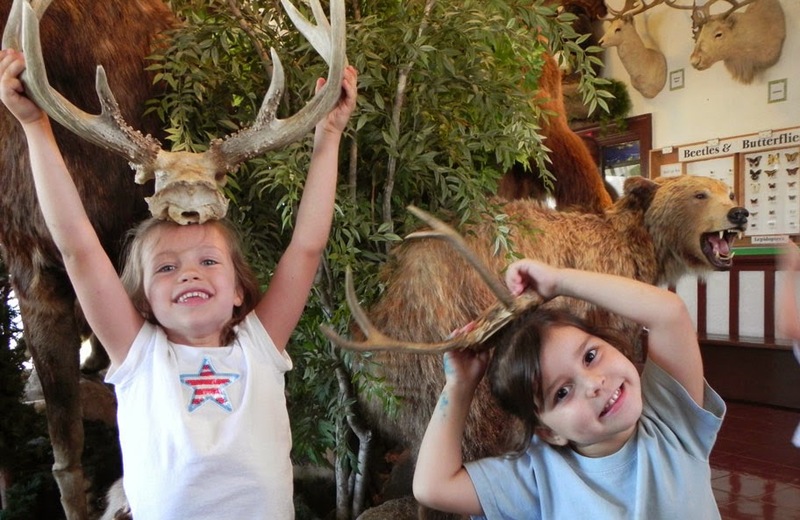 Here are 5 places nearby that you can visit that are both fun and educational. Discover 15 native California plant communities, habitats, and walking trails through hands-on learning at the Environmental Nature Center. The Butterfly House, home to several butterfly species native to the county, opens on May 4th. Admission is free. Head to the Discovery Science Center in Santa Ana to really get your "hands on" some science! Have a blast with more than 100 science exhibits that you can actually touch. Don't miss the laser bubble show running March 29-April 20. Hours are 9am-6pm. Children (ages 3-14) are $12.95 and adults (ages 15+) are $15.95. There is also a yearly family membership for $99. Located in a historic 1923 Train Depot, the hands-on children’s museum features seven galleries and 14 exhibits. Unique to the museum is its outdoor dinosaur topiary and 1942 caboose. Children can ride an authentic Dentzel Carousel, take a walk in T-Rex’s footprints, pet an Arctic fox, and dig for fossils. Kids under two are free. Tickets for older kids and adults are $8. The Fullerton Arboretum is the largest botanical garden in Orange County. It boasts 26 acres with 4,000 unique and unusual plant species from around the world. Enjoy its ponds, streams, and wildlife as you enjoy the tranquility of this beautiful oasis in the city. Visit 7 days a week 8am-4:30pm. It's always fun to go to the zoo. And we have one right in our backyard. The Santa Ana Zoo focuses on the animals and plants of Central and South America and is known for its extensive primate collection with over a dozen species from around the world. It is open daily from 10am-4pm and costs $10 for adults and $7 for kids. 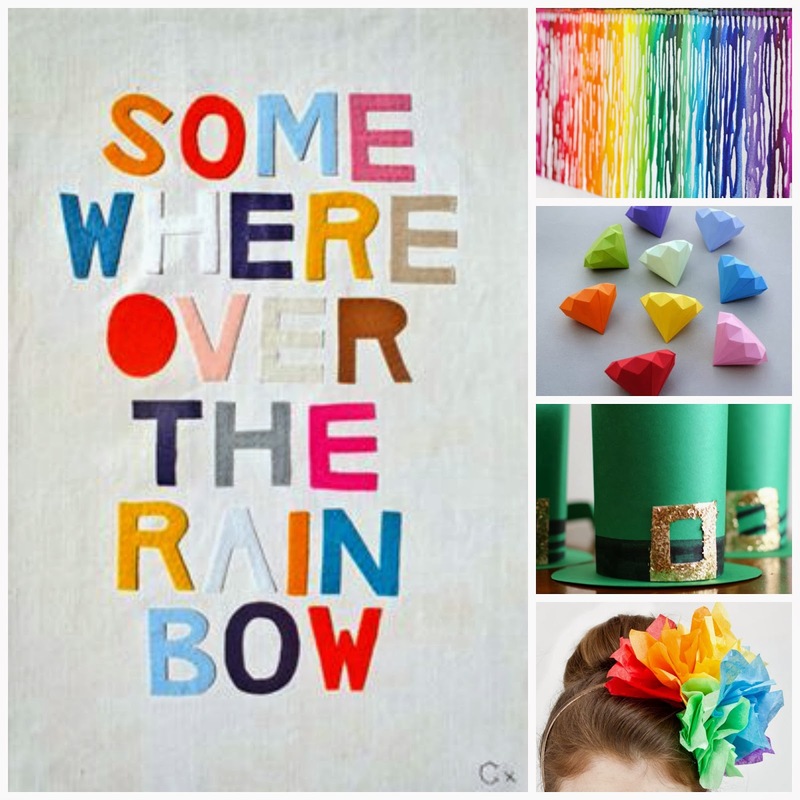 It's time for St. Patrick's Day, so bring on the rainbows! Our family doesn't go all out for St. Patrick's Day but we will wear green and celebrate with a simple craft. Here is a fun Fruity-O's Rainbow from Hands On As We Grow that's perfect for helping toddlers and preschoolers learn their colors and work on fine motor skills. 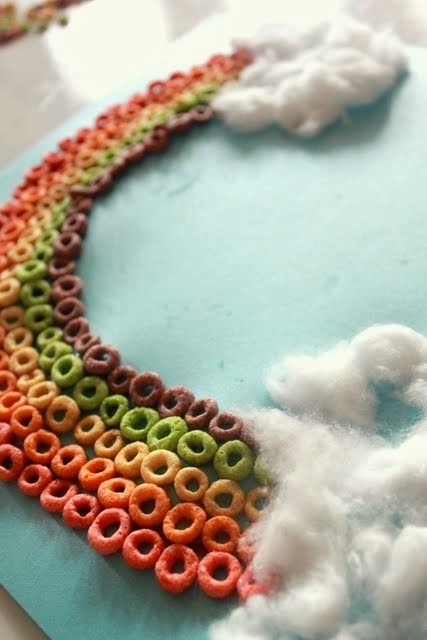 Older kids love it too--you can challenge them to create something other than a rainbow with their O's. Fairmont's North Tustin cheer team competed in the Novice Junior High Division of the USA Nationals on March 2nd at Disney's California Adventure. They placed 8th out of 12 teams. Most of the girls on our team are 4th and 5th graders, and they held their own against teams that consisted of only 7th and 8th graders. The stunt group made up of Tyler P., Samantha C., Sydney R., and Kiana H. placed First in Junior High Novice Stunt group division! Way to go, girls! The team will be attending the last competition of the season, Best of the West, this Sunday at the Long Beach Pyramid. Good luck girls, and three cheers to you and Coach Joanna Yujuico for an amazing season so far! Post your name suggestion on our wall by March 12th. Fairmont will choose the top 5 names and you can vote for your favorite name March 13th-18th. The winning name will be announced on March 19th. The winner(s) will receive a free week of Summer Camp! We can't wait to see what creative names you come up with! In the meantime, don't forget to visit the Fairmont Summer Programs website for more information on the wide variety of programs we offer during the summer. Enroll by April 30th and save 10% on all summer school and camp programs! Discounts are automatically applied at time of registration. As parents, your feedback is invaluable to us in informing our decisions and plans moving forward. We invite you to share your feedback in this year's online parent survey. You will be receiving an email on Monday, March 17th with the link to the survey. Please complete this survey by Friday, March 28th and be entered in a raffle to win $1,000 off tuition next year! Thank you for taking the time to share your thoughts. Spring is in the air...which means summer isn't far off! As the days get longer and warmer, kids can't help but anticipate the carefree months of summer ahead. For you, the summer anticipation includes planning what the kids will do with their time--summer school, summer day camp, sleep-away camp, swimming lessons, vacation? Fairmont is proud to offer a Summer Program that is accredited by the American Camp Association. This summer we're hitting the road for a cross-country trip across the USA. It's going to be wild ride of fun and learning! Find out more and enroll by visiting our summer programs website or check out our Pinterest board for the inspiration behind this year's Roadtrip USA theme. It's March, and we can hardly contain our enthusiasm because spring is nearly here! We may get a few more showers, but there are sure to be rainbows too--and who knows what lies beyond the rainbow?! We hope you enjoy these colorful reminders to have fun with your kids and encourage them to exercise their imaginations every chance they get!